Welcome to the WWAMI Network online, a practice opportunities listing provided as a service to current residents and graduates of our affiliated residency programs as well as a growing number of family practitioners looking for practice locations in the WWAMI region of Washington, Wyoming, Alaska, Montana, and Idaho. To view ads, please select from one of the categories in the menu. If you would like to place an ad in the WWAMI Network, please fill out the opportunities form. Your ad will be posted on our webpage upon receipt and remain up for two months. If you have questions, please email Molly Ormsby at: mormsby@uw.edu. To provide comprehensive primary medical care services to patients in a primary medical care ambulatory clinic setting. Develops and maintains proficiency in delivery of primary care medical services per ANHC Provider Policies and Procedures as outlined in the Practice Management Manual. Provide routine primary health care for patients of all ages. Provider must possess knowledge of patient care modalities for infants, children, adults, and geriatrics. Current Washington State Physician and Surgeon’s License. Practice your Passion at the Intersection or Quality Care and Social Justice! The reasons to work at MultiCare are as unique as the people who do. Join us for the professional challenges you seek, in the settings you prefer, with schedules that fit your life. Learn more at http://jobs.multicare.org. UCNW in beautiful Ferndale, WA, seeks an Associate Medical Director, Physician / Family Practice Physician. The Director will lead, manage & supervise the physicians & NPs in our brand-new facility. Both positions, provide comprehensive, primary care services in a multi-specialty community health center. Part Time Seattle is one of four locations for offering a Reproductive Health Care and Advocacy Fellowship withe the Reproductive Health Access Project. This one-year fellowship aims to develop leaders who will promote and teach full-spectrum reproductive health care within family medicine. 	Skagit Regional Health, Graduate Medical Education Program, is looking for a Family Medicine with OB physician to join our rapidly growing Family Medicine Residency Program. You would be the first FM/OB Faculty, with plans of adding additional FM/OB faculty members in the future. The Sports Medicine Fellowship Spokane is an ACGME-accredited, one-year experience in clinical and academic sports medicine that accepts one Family Medicine, or, new for 2016, Internal Medicine-trained resident each year. All graduates who are ABFM certified will be eligible to take the examination for a Certificate of Added Qualification in Sports Medicine. 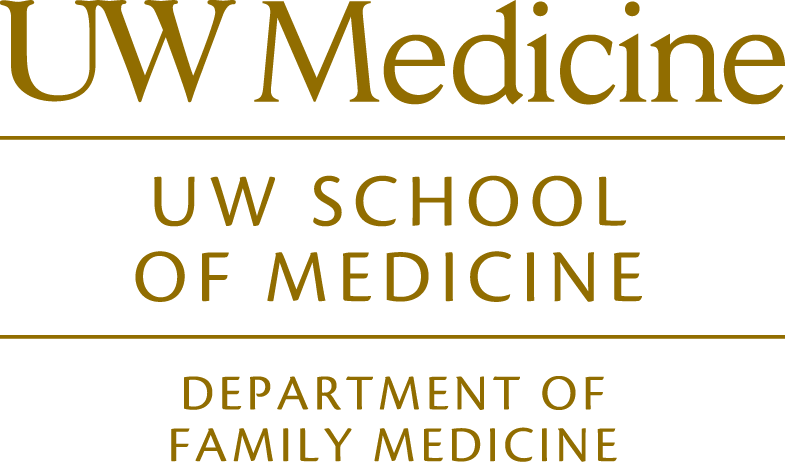 Clinical Fellowship Full Time The University of Washington Palliative Medicine Fellowship Program is a one year fellowship that trains fellows to become experts in delivering palliative medicine care for severe and chronically ill patients of all ages. In addition, meeting the challenge of palliative care for a growing elderly population is a focus in the program. Clinical Fellowship Full Time Established in 1996, the University of Washington Primary Care Sports Medicine Fellowship is an ACGME accredited program which provides comprehensive training and experience in sports medicine. It is sponsored by the Department of Family Medicine. Graduates of our fellowship program continue to be leaders in the fields of geriatric medicine and research, and we are home to pioneering research programs in the field of aging. Clinical Fellowship Full Time The Fellowship in Global Health at the University of Washington is designed to train future leaders, including academic faculty, in Global Health. The fellowship is a one-year post-residency training opportunity focusing on further developing skills and expertise in working with underserved populations in the United States and within resource-poor settings globally. Clinical Fellowship Full Time The mission of the Obstetrics Fellowship at Swedish Family Medicine is to provide advanced training in high-risk obstetrics and newborn care to family practitioners who will work in underserved communities. One Year Faculty Development Fellowship: Valley Family Medicine Residency in Renton, Washington, sponsors a one year faculty development fellowship for graduates of ACGME accredited family medicine residencies.